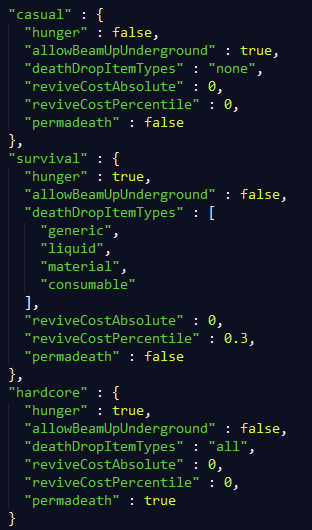 We have talked a little bit about the re-addition of hunger in Survival Mode, which is exciting! 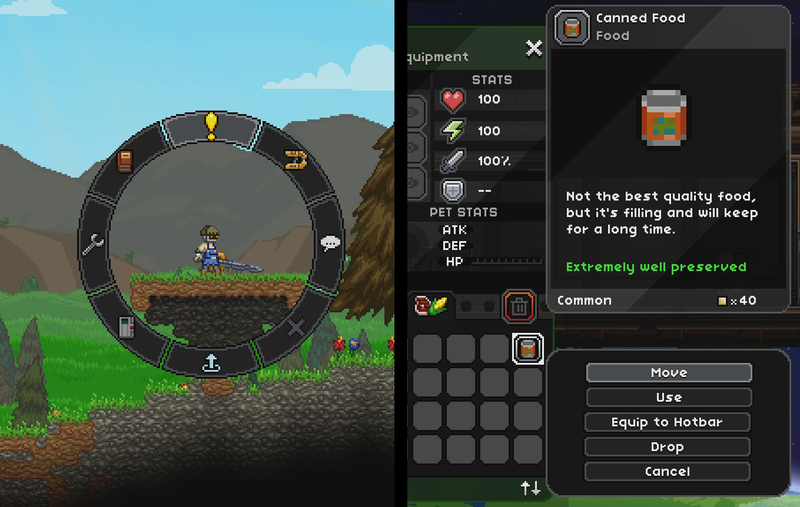 There are a lot of different difficulty parameters – hunger, allowing players to beam up from underground, items dropped on death, how much it costs to revive your character, and permadeath. 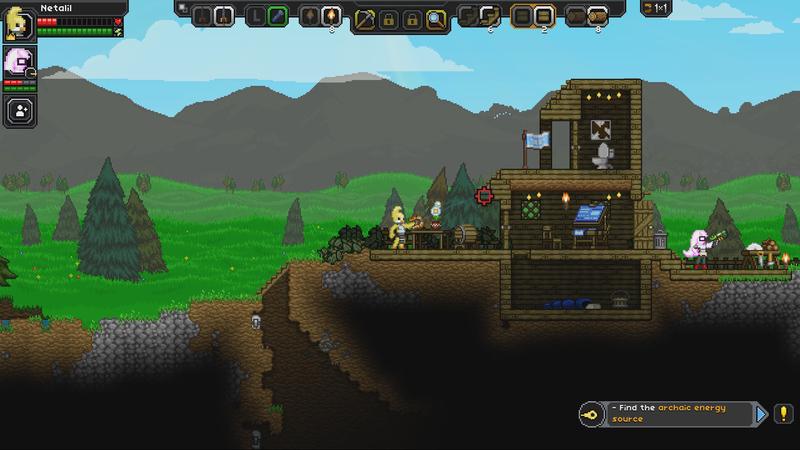 Regardless of how we configure Starbound’s three difficulty modes some players will prefer a different set-up, so to that end Metadept has made all of the modes moddable. Here’s what that looks like! Keep in mind that what you see there now isn’t necessary what the default settings will look like in the final game – it’s just how it’s configured right now. In other news, this character is wielding a broom. Why are they wielding a broom? What’s the significance of the broom? Where are they? What’s going onnnnnnnnn?